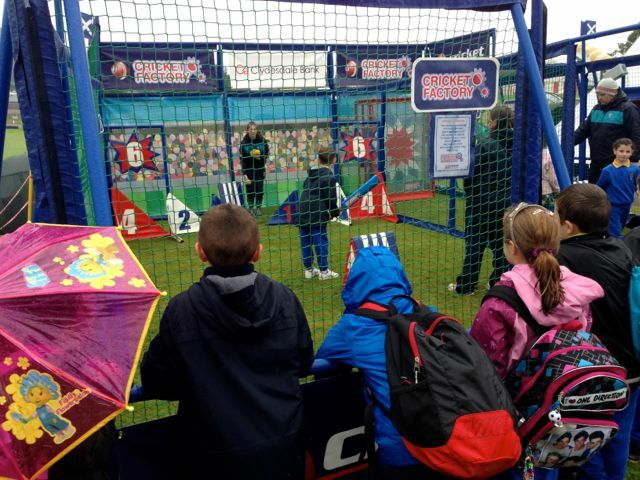 The games saw competitors from across the globe of all ages coming from as far afield as Australia, New Zealand, Canada and the USA. 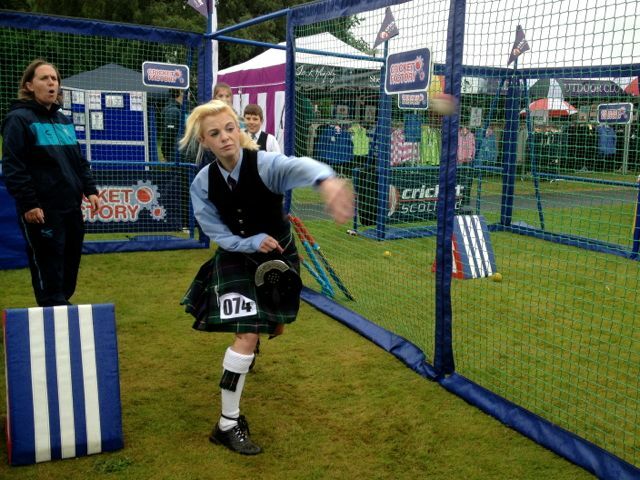 The thousands who gathered in Dunoon were treated to a feast of top quality Highland Dancing, piping and heavy athletics as well as a variety of other entertainment. 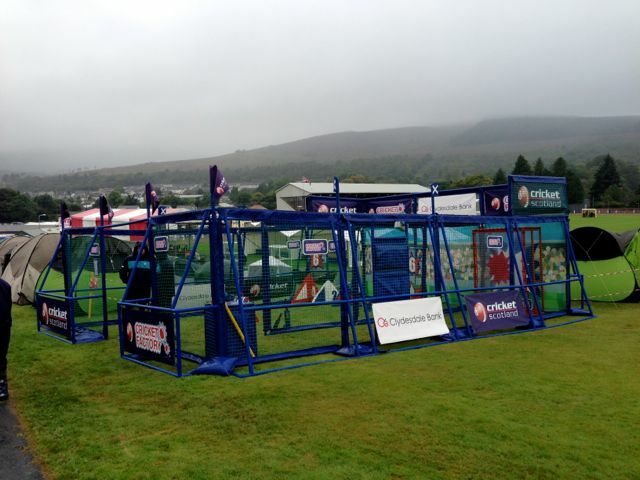 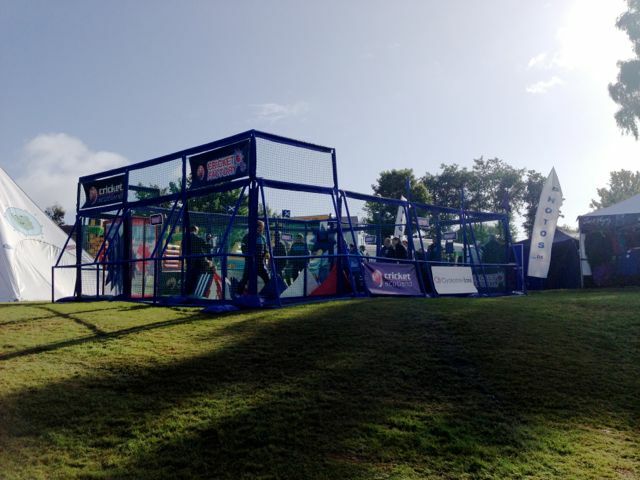 The Cricket Factory Rig was set up in a prime position on the bank of the stadium in Dunoon and proved very popular with the competitors, their families and spectators. 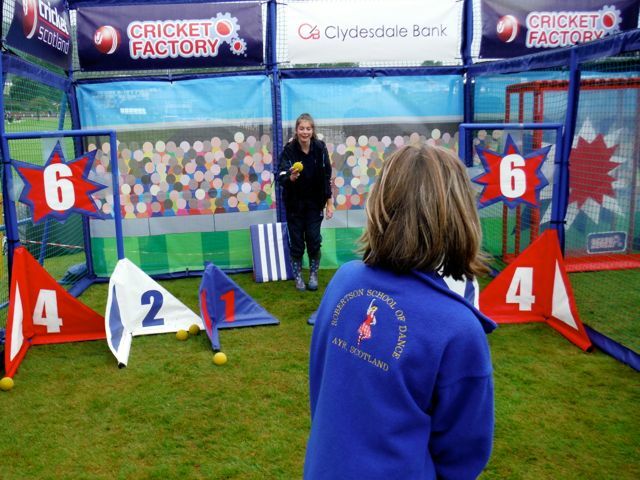 Steve Paige Head of Participation said, “I’m delighted that we’re have had the opportunity to have such a large presence at the Cowal Highland Gathering in partnership with Cricket Factory and I’m grateful to Clydesdale Bank for their support in making this happen. 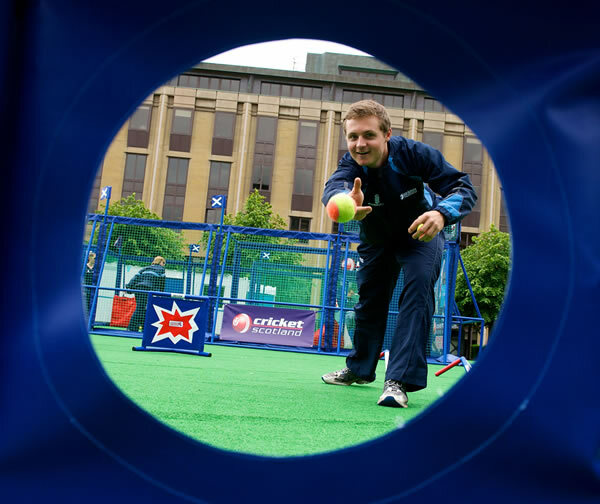 The rig is a great way for people to have a go at the core skills including seeing how fast they can throw on the speed challenge”. 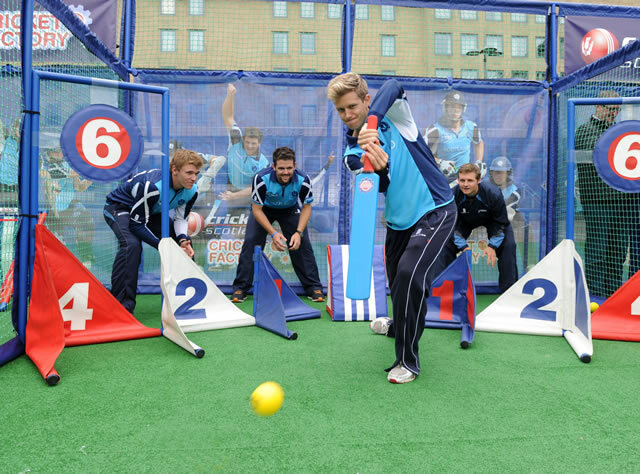 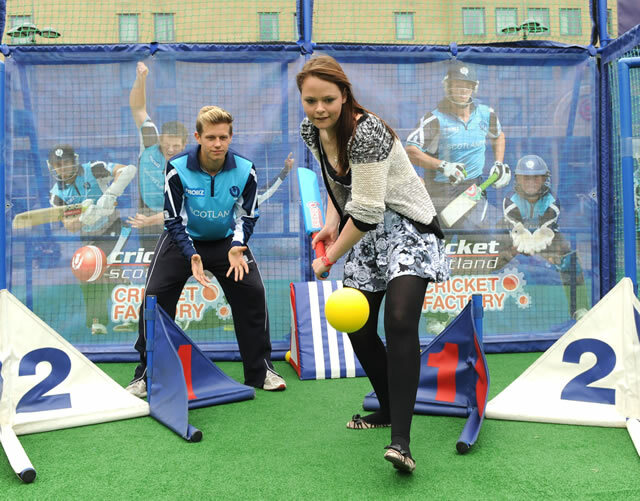 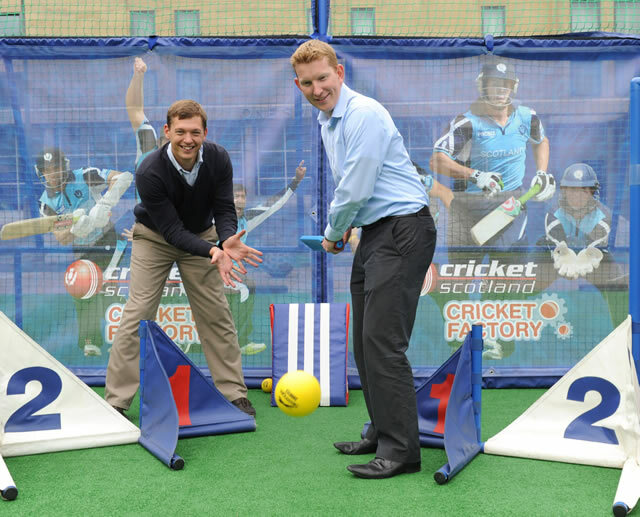 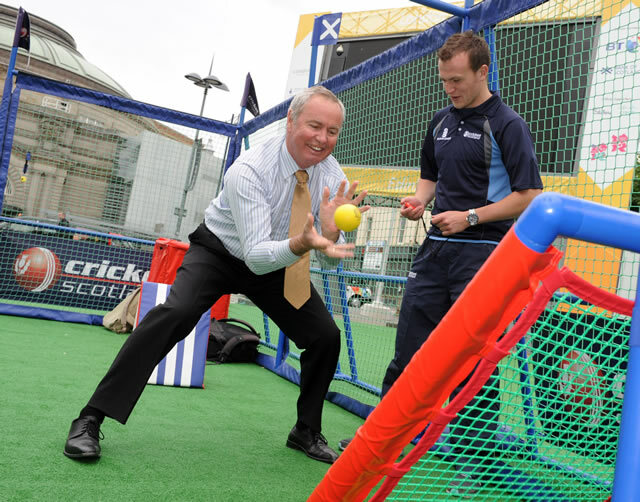 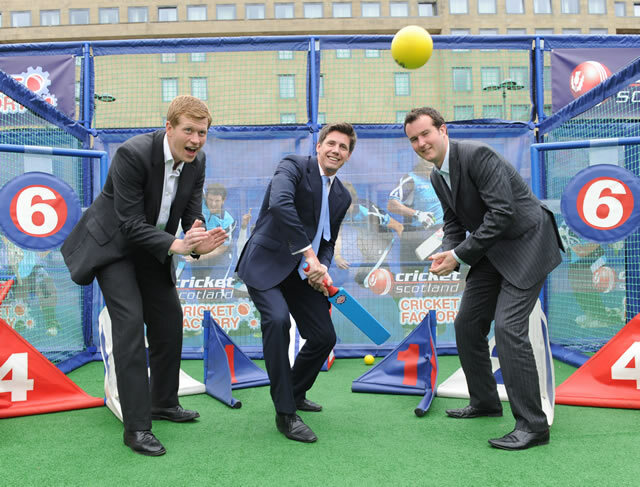 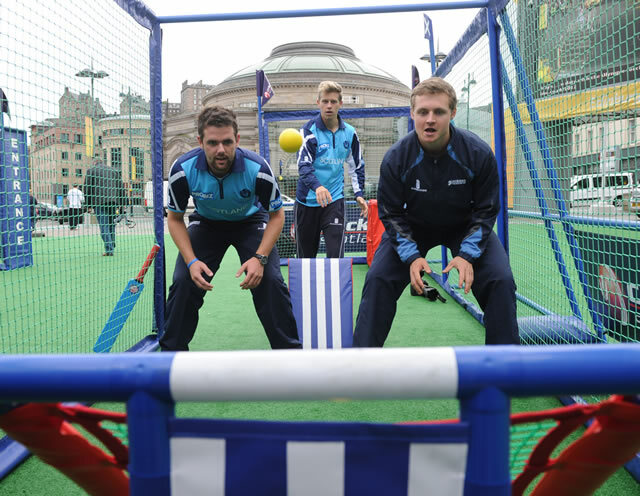 Cricket Scotland utilised the Cricket Factory Playsurround™ and Delivery Team in a takeover of the ‘Olympic Live Site’ in Festival Square, Edinburgh to promote the opportunities to engage in Cricket across Scotland. 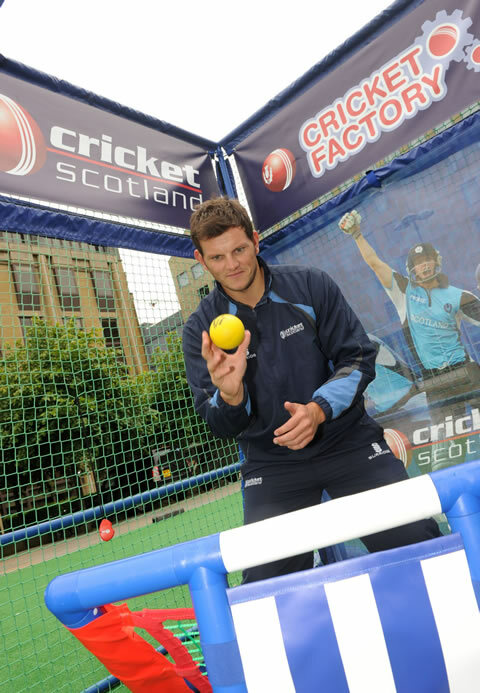 This was Cricket Scotland’s largest ever public promotional activity and was so successful it contributed to them winning a European and Global ICC Award for ‘Best Overall Cricket Development’ Initiatives. 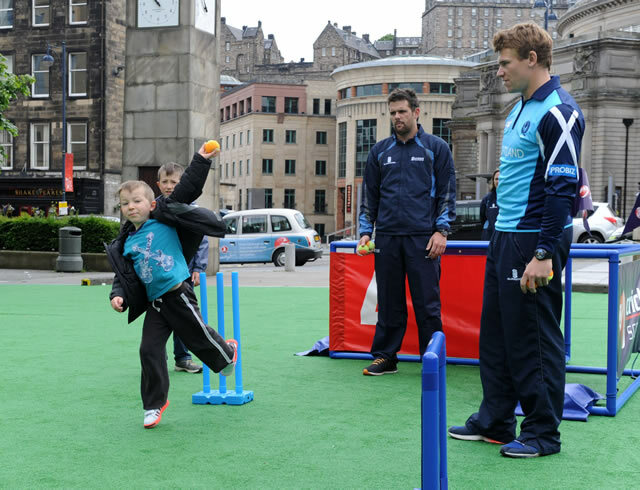 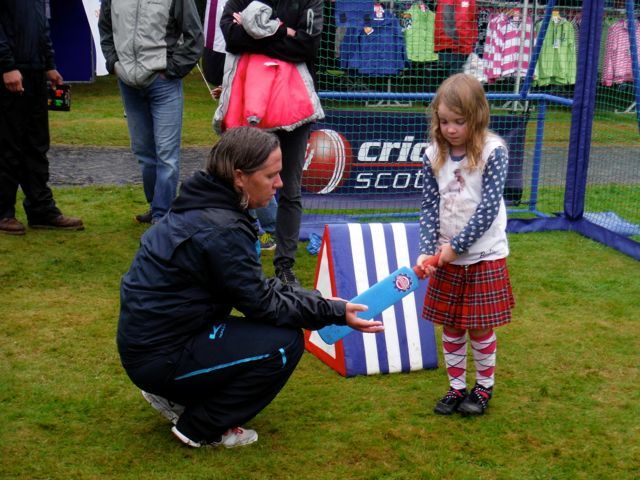 With over 450 participants new to Cricket getting an opportunity to be coached by Cricket Scotland National Team players, this event also promoted the Cricket Scotland brand to thousands of commuters traveling into Edinburgh city centre.